Top row: Fery Haghighi, Kristen Scott-Silver, Jeannie Choi. Middle row: Linda Johnson and Jamie Sweetser, Celeste Shaw, Blerita Kaba. Bottom row: Christie Sutton, Renee Cebula, Lesa Lebeau. In the March 7 edition of the Inlander is a piece highlighting the highs and lows of being a woman in the restaurant profession, which has long held a reputation for harsh working conditions, especially for women. It's a story I've wanted to write for some time, and happens to perfectly coincide with Women's History Month and International Women's Day, March 8. In the light of 2017's #MeToo movement and revelations that several high-profile male chefs had sexually harassed female employees, and that similar experiences were largely considered "part of the job" for many women, the timing of our story felt relevant. One goal for the piece was to show that these challenges faced by women in kitchens, dining rooms and bars are, by and large, not experienced by their male counterparts. While recognizing these unequal occurrences, I also sought to highlight local women's success and leadership in the industry. While researching and reading dozens of articles published on the topic of women in the food world, however, I came across an argument which struck me profoundly: that the press is partly responsible for enabling the current culture that better supports male chefs/owners on their path to success and recognition than female counterparts. In my experience covering the region's food and drink sector for the past two years, I closely understand how media coverage can influence any restaurant's success — it's a tricky line to walk as a food journalist. We strive to cover the local industry equitably with timely stories and news that is of value to our readers, yet when the numbers here reflect the national trends that female-owned restaurants and executive chefs are a minority, it's often difficult to keep that steady balance. Then I spent some time looking back through our food section archives, looking for holes in coverage of the industry's female demographic. 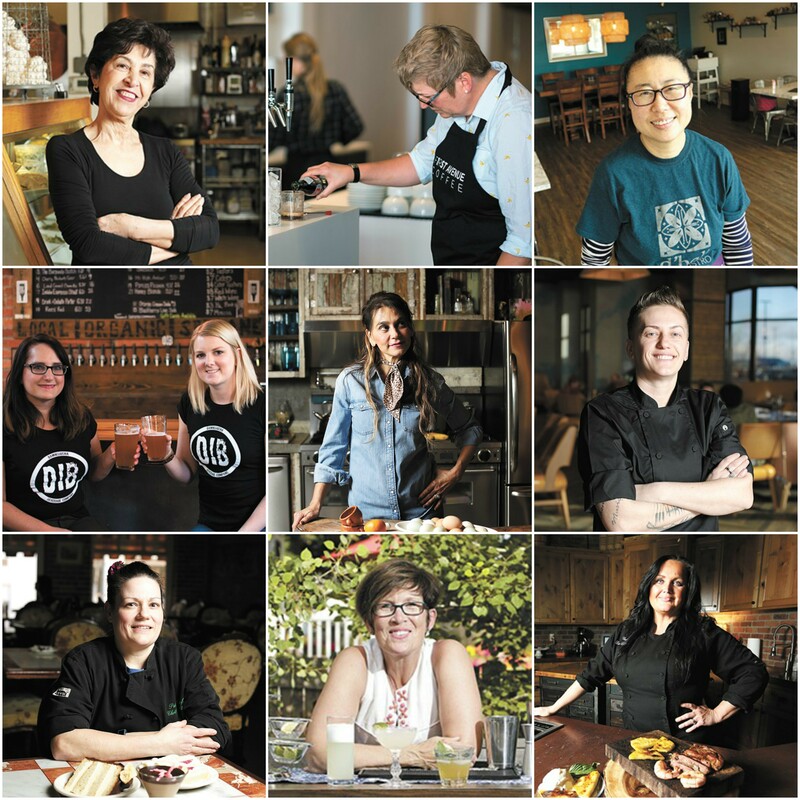 What I found was more promising than I expected — the Inlander has been consistently highlighting female industry professionals with pretty equal amounts of ink, all things considered. The following is a list of stories published in the past year or so that largely spotlighted women chefs, owners, cooks, brewmasters, bakers and more. As always, we're open to hearing suggestions of trends and people of any gender identity we should cover. Send me your suggestions: cheys@inlander.com. Happy reading, and happy Women's History Month and International Women's Day! Jill Morrison, Coeur d’Alene Cider Co.
Ginger Cantamessa, Downdraft Brewing Co.
Charlene Honcik and Kendra Wiiest, Badass Backyard Brewing Co.